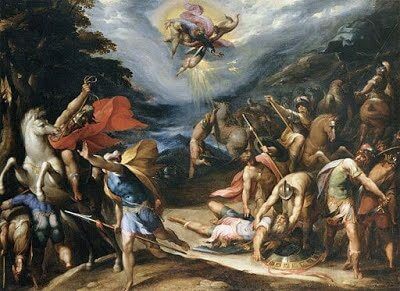 The Conversion of Saint Paul, Apostle - Feast - My Catholic Life! 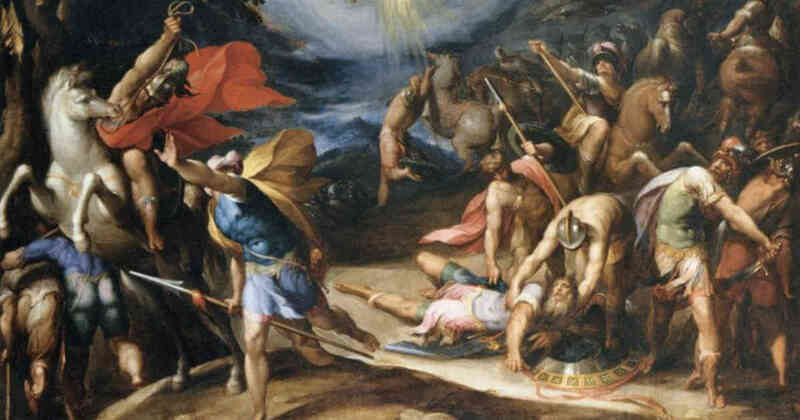 In the long history of the Church no conversion has been more consequential than St. Paul’s. Paul had not been ambivalent toward the Church before he converted. He had actively persecuted it, even throwing rocks at the head of St. Stephen, in all likelihood. But he changed, or God changed him, on one particular night. And on that night Christianity changed too. And when the course of Christianity changed, the world changed. It is difficult to overemphasize the impact of today’s feast. One way to think about the significance of an event, whether big small, is to consider what things would be like if the event had never occurred. This is the premise behind the movie “It’s a Wonderful Life.” You compare actual life with a hypothetical “what if” alternative scenario. What if St. Paul had remained a zealous jew? What if he had never converted? Never wrote one letter? Never travelled the seas on missionary voyages? It can safely be assumed that the world itself, not just the Church, would look different than it does today. Perhaps Christianity would have remained confined to Palestine for many more centuries before breaking out into wider Europe. Maybe Christianity would have taken a right turn instead of a left, and all of China and India would be as culturally Catholic as Europe is today. It’s impossible to say. But the global scale of the effects of Paul’s conversion speak to the significance of his conversion. Some conversions are dramatic, some are boring. Some are instantaneous, some are gradual. Augustine heard a boy in a garden repeating “Take and Read” and knew the time had come. Saint Francis of Assisi heard Christ say from the cross “Rebuild My Church” and responded with his life. Dr. Bernard Nathanson, the father of abortion in the United States, renounced, repudiated, and repented of his life’s work and searched for a real Church to forgive his real sins. He ultimately bowed his head to receive the waters of baptism. The details of Paul’s conversion are well known. He was thrown from his horse on the road to Damascus (except that Acts makes no mention of a horse). Maybe he just fell down while walking. While stunned on the ground Paul heard the voice of Jesus: “Why are you persecuting me?” Not “Why are you persecuting my followers.” Jesus and the Church are clearly one. To persecute the Church is to persecute Christ. Jesus is the head and the Church is his body. Paul did not convert to loving Jesus and say that the Church was just an accidental human construct that blocked him from the Lord. No, of course not. He believed what right minded Catholics have believed for centuries and still believe today. To love Jesus is to love the Church and vice versa. It is impossible to love the Lord while disregarding the historical reality of how the Lord is communicated to us. The Church is not just a vehicle to carry God’s revelation. The Church is actually part of God’s revelation. Paul’s conversion teaches us that when Jesus come to us, He doesn’t come alone. He comes with His angels, saints, priests, and bishops. He comes with Mary, the sacraments, doctrine, and devotions. He comes with the Church because he and the Church are one. And when we go to the Lord we don’t go alone either. We go as members of a Church into whose mystical body we were baptized. Thus St. Paul heard from God Himself, and thus we believe today. St. Paul, we ask your openness to conversion when we hear the Lord speak to us as He spoke to you. Assist us in responding with great faith to every invitation we receive to love the Lord more fully, to know Him more deeply, and to spread his word more broadly to those who need it.